Our newly appointed Safety Officer, Michael Carey, is on the job. Mike is actively assessing active job sites by doing spot inspections to ensure that our staff is working according to our safety compliance standards. 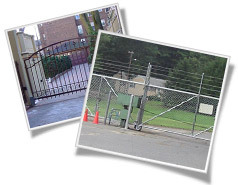 At SecurityWorks, Inc. Safety is a serious matter. The company has an active program that involves the entire company from the President down to the Field worker from daily tool box talks to an entire training schedule made up of an array of topics. The company participates in weekly Safety meetings and also participates in ISNetWorld.